With the holiday season coming to a close this month, there are plenty of items that are on the wish list of many, but there are just a few items that are sure to delight when unwrapping the gift box. The BEATS Studio 3 wireless is a must for the season and we will tell you a little bit about why you need these on your ears. 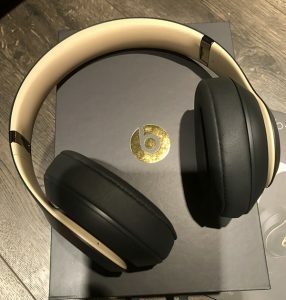 Previously,we had reviewed the Studio 2 wireless version and the music quality was pretty comparable to many of the same style headsets on the market, well get ready for the Studi0 3, they are about to make that version look dated with all of what they done in this newest version. First, will start with what the BEATS Studio 3 does well, better than any of their previous versions. One plus for the price point is it rich, crisp sound signature with a focus on high-mid definition. Wireless audio and active noise cancellation. NC can be disabled to save battery life. Apple W1 chip makes pairing with iOS devices even more simple. If you have the latest software, the color of your device and battery life will also be displayed during the paring process. This is something that has been missing in previous pairs. The look of the product is about the same as before, except for a few new catchy colors that have come from consumer feedback, or mostly the Apple involvement in the products. Our dark grey and gold special edition certainly pops in the color department, but the new deep blue and silver isn’t too bad looking either. Another added feature is the ability to turn on and off the NC ( noise cancelling) function, this has not been close to any of the other models in the previous years from BEATS. The ear cup keeps it pretty quit with the NC turned off. A simple push of the button will reactivate it. These are still a great choice for all around usage, gym, airplane and are comparable to a couple of the BOSE products in that price range, but they are not quite BOSE. We liked the battery life on this version versus previous years with a listed 22 with NC on, we got about 19 with constant usage and the 40 with it off is pretty accurate in all of testing we have done so far. Construction of the headphones is about the same, I can see the folding part of them getting a little loose as it did in previous versions, but overall after dropping them in simulation, they held up without any adjustments. Overall depending on the types of music listened to on the headphones, you will find deep bass and excellent sound for the $349 MSRP. A lot of people might gripe over the bottom line pricing for synthetic leather ear cups and no passive, but for those usually getting these for style and the gym, they will do just fine. They will be in our rotation for a good bit as our Studio 2 is still 2 years later pumping out some good tunes.